I am a Southern girl with Dixie in my blood and I was raised to see food as love, comfort, celebration, fellowship, and the way to a man’s heart. No one ever told me these things because it wasn’t necessary to say them. It was a way of life. It was shown to me. I don’t like being overweight. I don’t like being tired and sluggish and I don’t like being controlled by my addiction to food. The good news is that about three years ago, I found the plan that worked for me. 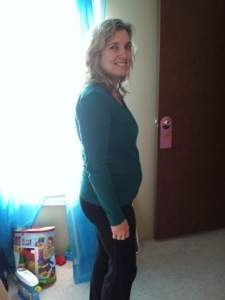 I began eating a very simple way in an effort to regulate my body so I would be healthy enough to get pregnant. It worked so quickly (just a month of eating this way) that I was pregnant and scratching my head as to how it had influenced my body in such a dramatic way in such a short time. I hadn’t had a cycle in a year, and suddenly my ovaries were working again. I didn’t stick with the plan for my entire pregnancy, but after SweetHeart was born, I began eating this way again in hopes to lose the baby weight (and before-baby weight). It worked so fast and was so easy it made my head spin. How could it be so simple? I lost down to my goal weight, losing 2-3 pounds a week, and without ever feeling deprived or stressed or hungry. 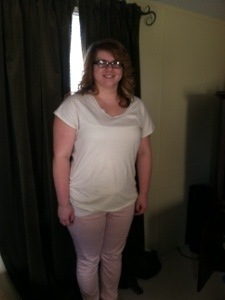 And to make it even better… I felt AMAZING. Energetic. Fit. Sleeping soundly. Breathing better. Oh, yeah. That. Breathing better…. until. Until I was diagnosed with the rare lung disease that rocked my entire world and caused me to focus more on what I wanted my children to know before I died and, internally, wondering who Cowboy would marry next and would she love him and our children the way they deserve? What kind of cancer? Oh, just thyroid cancer. Completely treatable! We just have to take out the organ in your body that regulates your metabolism. No biggie. Ugh. 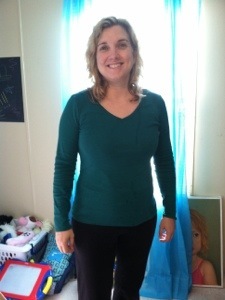 The loss of my thyroid proved to be a huge obstacle in my weight loss. Even with my numbers in the correct range (TSH, T4, T3) the weight would not let go. I tried my eating plan, and though it made me feel much better, the weight did not respond. I scoured the internet for a solution, but I could only find entry after entry of thyroid-less people saying they couldn’t stop gaining weight no matter what they ate or how much they exercised. Clearly, Google was not the encourager I was counting on. Even so, the eating plan did one thing it had done before. My endocrinologist at The Hollings Cancer Center at MUSC told me she would wait on radiation so I could try to have one more baby, but warned it really wasn’t likely that my cycles would return after losing my thyroid… It had been months and no sign of them. She said this was sometimes a side effect and, of course, I should be thankful for life. But, I ate on my plan for just a couple of weeks and it woke my ovaries up. Five weeks after going back on my eating plan, I found out I was expecting my fourth and final baby, BraveHeart. It can’t all be attributed to how I ate. He was a miracle sent straight from God, a miracle I had pleaded with the Lord to give us… an heir for Cowboy, a brother for TenderHeart. I do feel certain this eating plan (designed by me by combining much research, not a plan in a book) was also His leading in my life as I had begged Him to help me find something that actually worked…and it really, really did. Which brings me to now… the before on the way to the after. BraveHeart was born a little over two months ago and my weight loss has stalled at 141 pounds. I would love to weigh 115 pounds, but could settle joyfully for 120. At my height and build, this is a realistic and healthy BMI to shoot for. Back on the eating plan I go! I started today. Not only that, but my amazing niece K. is taking the health challenge with me. I am super proud of her commitment as she has been following the plan since last Thursday and has already lost 6 pounds! She has been dealing with some health issues and has gained a great deal of weight. She wanted to find something that could work for her and in our talking, decided she wanted to try my special plan. I told her I would do it with her and coach her through it (while hopefully benefiting from it myself, regardless of my lack of thyroid). Her current weight is 208 lbs (which she told me “You can post my weight cause I’m gonna be proud that I weighed that much and lost it!) We decided I should blog our journey to health and include, along and along, the details of my plan in the hopes it might inspire others to take the challenge while giving us accountability and a record of our progress. So, what do you think? If I told you an easy way to eat and move that was not crazy expensive and would help you lose weight and feel better and sleep better without feeling deprived or hungry, would you be willing to try it with us? I know I don’t usually get many comments on my blog that YOU can see, but I have been so shocked and completely touched by the private e-mails I have been getting from so many of you. (I haven’t been able to respond to everyone yet as I read the e-mails from my phone and texting a reply with one hand while holding BraveHeart with the other has proven challenging!) I never would have thought so many of you would take the time to read my writing, and even more so, take the time to write me personally and thank me. I cannot tell you how greatly your words have blessed and encouraged me. Thank you, thank you from the bottom of my heart. 90. 91. 92. Three Gifts Found On Paper... My Bible. How I love Your Words to me, my Lord! It is life. And letters from friends who take the time to drop a note. And a box I hide under my bed of keepsake cards and very brief notes from my Cowboy who doesn’t like to write but, occasionally, does so just for me. The sacrifice makes it even sweeter. 93. 94. 95. Three Gifts Found When Bent Down… Looking in SweetHeart’s eyes and feeling her arms clasp around my neck; the tuck of a wet nose on my shoulder from our border collie, Rocket, when I take our leftovers outside for him; and dirt. farm dirt. our farm dirt. There is nothing that smells like it, nothing that makes me feel more at home and at ease, nothing that gives back as much as it does. Thankful Cowboy’s Daddy knows how to love it properly and make it grow life over and over and over again. It is the miracle outside my window and under my feet every single day and it grounds me. I am a farmer’s daughter and granddaughter, after all. 96. 97. 98. A Gift Stitched, Hammered, Woven… My sewing machine which helped me mend Cowboy’s pajama pants yesterday, TrueHeart’s workshop built next to her little garden thanks to Cowboy and Cowboy’s Daddy, and the beautiful blanket lovingly crocheted by Rhoda for BraveHeart which I use almost daily. 99. My time with K. The challenge she has taken with me and the encouragement she brings of not doing this alone! Our long walks on the farm have been very special. 100. Cowboy’s day job and his commitment to do it. So thankful for how hard he works for our family. We missed him like crazy this week while he was on call… so thankful today he should be home at a normal hour. Home just doesn’t work right when he isn’t here! Let the Joy Dare Begin! 3. The deep ache of missing TrueHeart and TenderHeart while they are away as I remember all I love and treasure about them. I dare you to leave a comment below of one way He loves you… one thanks offering to Him… I will praise Him with you for His blessing!